FredoCorner performs the rounding of the edges and corners of 3D shapes along a 2D profile, in 4 modes: Round, Bevel, Subdivision Mesh and Chop Corner. FredoCorner also includes a Repair tool to undo any generated shape rounding. 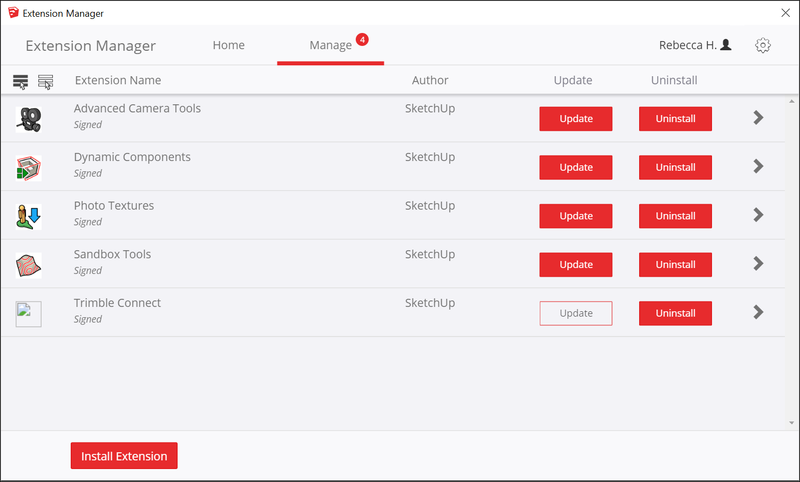 FredoCorner does not replace my previous plugin RoundCorner, which will remain supported separately. FredoCorner will become a paid plugin is a few months. It is Free for the time being. Note that FredoCorner only works with SU2016 and above. IMPORTANT: Make sure that you have first installed LibFredo6 v8.6 or above. FredoCorner is released as a regular RBZ extension file on the Sketchucation Site. IMPORTANT: Whatever way you choose, you MUST quit and restart Sketchup to get FredoCorner (and LibFredo6) properly loaded. Some element of the user interface (Profile editor, Repair, Variable offset) will be documented in separate videos. FredoCorner works across the boundaries of Groups and Components at any level. The offset is however always specified in top-level model coordinates. So, this imposes to take a few precautions when you have several instances of components. This tool, introduced with FredoCorner 1.3, performs the rounding or beveling of corners only. 2) RADIUS: offset is computed based on a circle of specified radius which is tangent to the border faces. The offset is therefore dependent on the angle at each individual edges. If the angle is lower than 90 degrees, the rounding will appear larger in width, or smaller if the angle is greater than 90 degrees. Visually, the rounding of a shape may end up with non uniform rounding. NO documentation at the moment. This will come!